Share the nice/otherwise interesting consumer CRT listings you stumble upon, right here! Because professional monitors aren't the only worthwhile CRTs to play on! CAPTUREZ MARIE-ANTOINETTE ET COUPEZ-LUI LA TÊTE!!!!! Last edited by FinalBaton on Fri Oct 07, 2016 2:27 pm, edited 3 times in total. I think listing alternatives to other professional monitors that aren't by Sony would be welcome. And having honest lists of pros and cons for each recommended monitor should be mandatory. but as a coincidence : I actually happened to see a couple of Trinitron ads on youtube this week that were quite funny! This is a good idea. I might edit the original post in the future (once we've amassed a sizeable amount of info in here) and add a list of interesting consumer sets of various brands, from all around the world. I've got a few models I can report on. Panasonic Tau CT-20SL/20SX: Some Taus used aperture grille, I'm not sure if the 20-inch did or not, but I was very impressed with the picture quality on the 20-inch Tau. The set has a really good 3D comb filter. The downside is no horizontal size adjustment in the service menu. Also, you'll have to adjust the yoke manually for picture rotation. The biggest upside to this set is the audio, the speakers have high quality, deep, booming sound. I was actually sad to lose that sound quality when I went to HDTV. JVC AV-27230. This looks like a TV from the 90s, but it actually was made in the mid-2000s and it has component input. It was a "budget" model and weighs about half as much as a regular 27-inch, only about 50lbs. Why am I a fan? First of all, this TV has an EXTREMELY curved screen, and the screen is set fairly deep into the chassis compared to other TVs of the time. This gives it a very arcade-monitor like aesthetic. Because the screen is so curved, the geometry on this TV was the best I've ever seen. Scanlines are nice and fat too. Downside? This model has a notorious problem where the corners of the screen go blurry, and adjusting the sharpness pot will NOT fix it. TEST before buying. JVC AV-27F--- series: This is JVC's "I'Art" high-end series of flat tubes. They have invar shadow masks and a very clear, very bright picture. Samsung TX-P2028, 2030, 2034: All variations of the same chassis, this was one of Samsung's last good CRTs before they started to go to the ultra cheap "SlimFit" series, which was basically trash. I'm mentioning it because of the distinct shadow mask picture that it offers, with more of a grid-like aesthetic. The s-video quality was HOLY CRAP good on this set. Very flat and crisp without a lot of color bleed and definitely no noise. Bonus: the set has built-in carrying handles. I used to own a Panny which might be a close relative to the Panasonic Tau CT-20SL (that appears to be the 2004 model, I had a 2003 model). It was a fantastic set with aperture grille and a great alternative to Sony Trinitrons imo. Toshiba AF43/44 (can't remember which I have but they're very similar): Decent picture, colors have a red bias that is a little hard to correct. Had some minor doming issues around one edge which gave that rolling paper geometrical effect. I wasn't able to correct that. Also has a non removable (even via service menu) edge enhancement setting. It's a well documented problem on these sets. The earlier sets such as the AF42 had a setting to remove this. If you don't mind edge enhancement these are fairly good sets. I used to own a few FS100 and FS120 sets. Good tv's. Geometry tends to need more work than higher end models, often having poorer horizontal symmetry and bad corners/edges. These require more than just service menu tweaking to correct. Colors are pretty good though. Doesn't pop like the FV level sets but it's not leagues behind either. A top recommendation for serious gamers who don't get overly ocd over fine details. I won't go over the FV300/310 I think there's ample documentation already on these top of the line sets for gaming. I suppose you mean in the US? You can always pick up free crt's with rgb scart here. These are the current listings for Sony's in order of pricing where (obviously) gratis means free. Honestly i'd rather have a more recent consumer crt than an old pvm/bvm. Side by side the pvm's/bvm's are usually slightly better (although in the case of older pvm's thats not always the case! ), but the difference really is not that big, especially not considering the price for a pvm/bvm or a consumer CRT. Late models have sometimes been bedroom tv sets, it's not uncommon to pick up a late model with a few hundred hours on it. While that's probably pretty true in areas where RGB was a standard, but in the USA there aren't very many other options. Put a box around an arcade monitor, purchase a professional/broadcast monitor, or RGB mod a fairly-well documented consumer model. You left out the easiest option, which is just to use a RGB>Component transcoder. Looks just as good as native RGB. There are also plenty of 4:3 CRT VGA monitors out there. Dirt cheap. Transcoding to 31Hz RGBHV is trivial. No, it's not a PVM, but there are some pretty monitors just sitting around out there. Trivial, but not exactly cheap. Are there any options <$100 for pure linedoubling? It doesn't look bad at all. Last edited by kamiboy on Sat Oct 08, 2016 8:56 pm, edited 1 time in total. Well there must be sets that are better(or more interesting, should I say) than others among the ones that accept RGB via SCART. So our european and japanese friends should list their favourites! 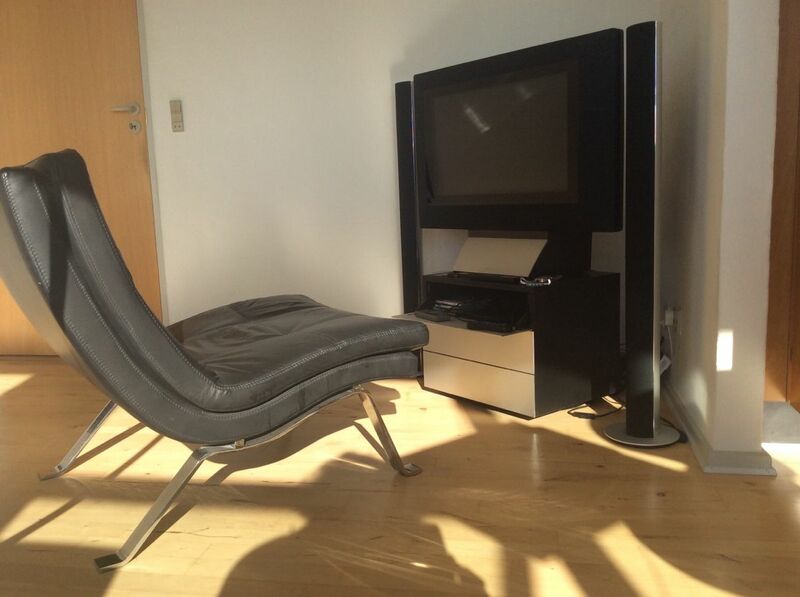 Well, it is no secret that I am a fan of Bang & Olufsen televisions, among other products of theirs. Qualities in their favour include the fact that they are the CRT televisions with the most stunning designs that I am aware of, they have SCART inputs and they have excellent audio performance, as audio is B&O's forte. Plus, were I live you can pick one up for free, since they are often seen abandoned on street sides, which breaks my heart. Things not in their favour, well, the Phillips tubes they use do not produce a very sharp image, and the earlier models are more limited in terms of adjustment options. My gaming room looks a LOT less classy than yours, lol. I'm kinda jealous. Loft? That is the entirety of my one room apartement. I don't know anything about interior design, I just like pretty things. Luckily you can find plenty of that for cheap second hand here. I picked up those B&O televisions for around 40EUR each, but just 10-12 years ago when they were new they cost thousands. B&O are makers of luxury goods for the wealthy, but their older stuff can be affordably acquired second hand, and their designs are timeless. Thanks. I stand on the shoulder of giants. I picked up a nice Jvc av33s36 36" tv a while ago. It has component inputs and a curved crt. Its a shadow mask and looks more like an arcade monitor than a PVM. I like it a lot. It is also 800 TVL which is good for a screen this size. it looks more like my 14" PVM, thats 500TVL, because of the difference in screen size. also the component on my snes looks way better on it than my other systems because im using Viletims component board in it as opposed to going through my CSY2100 clone. the csy the colors look washed out. That JVC set sounds killer. If actually owned a house I would have something like that. Actual crt hunting is a thing. The big 29" Nanao screen in my Blast City looks pretty stunning even though it is a bit long in the tooth. I can only imagine how gorgeous a 36" screen would look. I've never seen any CRT that large in real life though. 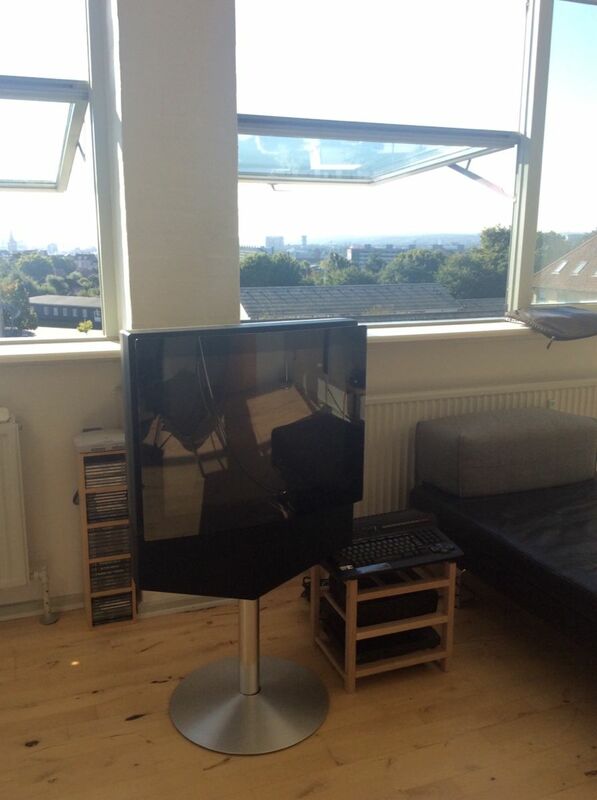 I am not even sure whether such sized televisions were ever sold over here, outside of 16:9 tubes. They sold a lot of 4:3 Sd crts here in the US. the av36s33 is one of them. 36" are the largest SD crts that most manufacturers built though. the 40s are usually HD. although mitsubishi built some up to 43" that were sd. i think the big 4:3 projections were all crt color tube sets, not DLP. They had 3 small crt lenses in them that projected a beam of each color onto the screen. RGB. to me it sounds like it would be easy given time for them to get out of sync with each other. The last 4:3 projections i remember seeing were some made in 1999.
id say by now most of them probably have issues. My memory of all of them is just a blurry, washed out, and dim. But apparently some HD CRT rear-projection TV's had really good picture. So I'm wondering if there were a few SD gems from the 90's, or ones that could be calibrated to look good. Very undependable. I was fortunate enough to get a new board for it under warranty. Each new blub seemed to burn up faster than the last. Eventually, the screen went mostly blue. Had to move on. With that said, it was not blurry. The screen was bright, the blacks were dark, and motion looked great.